I have taken lots of pictures of great places, cute animals and family- most of them to record where I was, who I love- taken to capture a memory or mark my place- but the real treasures are those beautiful things that appear when they are framed by the viewfinder and make themselves into a painting without any help at all. 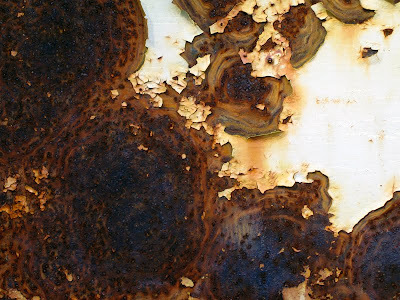 Who would have thought rust could be so beautiful. Thanks for sharing.